My mother told my father that I cried. So they decided they would never divorce. ‘We can’t do this to our children.’ And last May they celebrated their 58th wedding anniversary. Why so much conflict within marriage? Because instead of thinking in terms of ‘we’, we are thinking in terms of ‘me’ and ‘mine’ – selfishness, ego. Here Radhanath Swami points out the crux of the matter.. thinking in terms of me and mine instead of we.. Thank you swami Radhanath for this blog. This is a sure-shot eye opener for the people of the world. Marriage is responsibility. Responsibility to each other as husband and wife; responsibility for the mental, physical and spiritual well being of the children. If people understand this, most of the problems are solved and people can lead a happy life. Heart touching ! and beautifully explained with a simple personal life example. Thank you. The need of hour as maharaj truly said is to move towards ‘we’ rather than ‘me’ in a married life. Very true marriage is a responsibility which every married person should undergo. H.H.Radhanath maharaj given his own parents example which is very inspiring.Thank you very much maharaj for teaching importance of taking responsibility together in marriage. Thank you Radhanath Maharaj for sharing this heart touching moment from your life. Very thought provoking point by Radhanath Swami. Self centered life creates problem’s in one’s own and dependent’s lives. Shocked to hear the statistics! thank you maharaj. for guiding devotees in the grahestha ashram and for making us to develop the values. THis is exemplary, we should learn to be selfless and practice it in our own lives. Wonderful article..Thank you very much Maharaj for enlightening us ! Very true, ego is root cause of all relationship breaks. Gratitude & humility erases this ego. Marriage is responsibility. Responsibility to each other as husband and wife; responsibility for the mental, physical and spiritual well being of the children!!!! What a wonderful parenting tip ! THIS MOOD REALLY GIVES THE PARENTS A SOLID REASON TO POSITIVELY TOLERATE EACH OTHERS DIFFERENCES FOR A HIGHER PURPOSE ! Or else there is simply no clue why at all should i tolerate my partner. Thank u so much Radhanath swami for sharing this deep profound experience from your life for the betterment of all the couples. 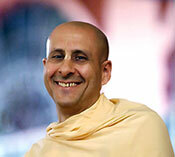 Radhanath Swami has been teaching many people about how to best bring up their children. Nice article on integrity and sacrifice that parents need to exhibit. Thanks to swamiji for sharing his words of wisdom on how a husband and wife should live for the benefit of the children and the whole family. Integrity, responsibility are the austerity that we need to take to relish our married life. Yes truely every parent should sacrifice for children. Radhanath Swami has perfectly analysed the problems within a marital relation. We think individually instead of thinking as a couple or as responsible parents, thus leading to conflict of interests, desires & ego. 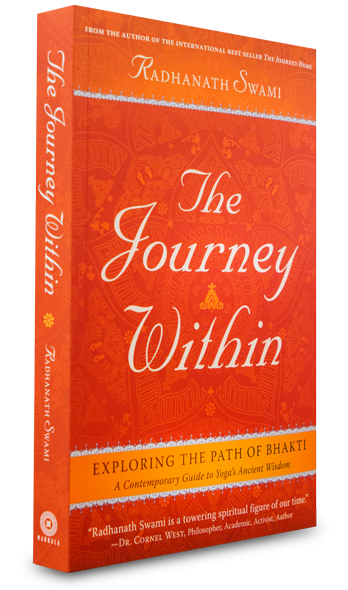 This is a wonderful article by Radhanath Swami. It will help us all to be responsible parents & take care of our children, materially as well as spiritually. I fully agree with HH Radhanath Swami’s sacred views. Divorce should be banned all over the world as it really affects the tender hearts of children and society too. With deep love, Radhanath swami has pointed out the need to avoid divorce between husband and wife for the sake of innocent children. I pray and hope that the selfish people of this world take this good advide from swami Radhanath. “Marriage is responsibility. Responsibility to each other as husband and wife; responsibility for the mental, physical and spiritual well being of the children.” This is good reminder to all married couples to meditate upon the purpose of marriage. This is very evident in the world of today. Wonderful advice as to how to be responsible parents. Such a change of heart – so beautiful. So much to take from this post.